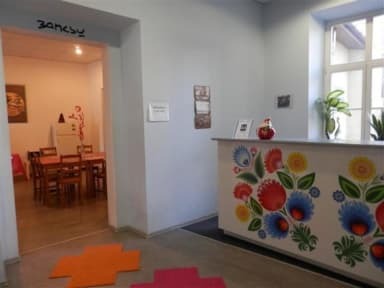 Baba Hostel is a new hostel in Kalisz city center, just 500 m from the main square. It offers a great atmosphere and welcome hospitality. High standard, clean rooms, affordable prices and helpful service will make your stay enjoyable. It is located in the very Centre of Kalisz. It takes only few steps to restaurant, shop or city council. The hostel is 2.1 km from Kalisz Train Station, 600 m from BWA Art Gallery and 3.5 km from Winiary Arena. At the Baba Hostel you will find a 24 hour front desk and a shared kitchen. You can enjoy city view from the room. 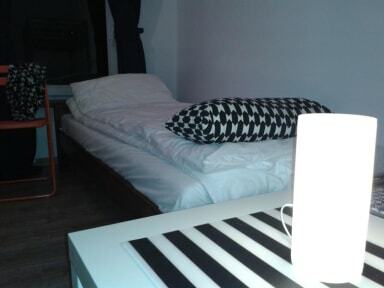 We provide each guest with clean bedclothes, towels, free wi-fi, common room and much more. Don't hesitate to come and check us out! Check in time is 4 PM till 12 AM. Payment type: cash, credit cards, debit cards accepted.